We came back from Fort Mountain State Park in the North Georgia mountains a day early (last night we got home). It was bad enough having to set up our tent and campsite in the rain, but if we’d stayed until this morning we’d have had to pack up tents and equipment in the rain too! That said, we had gorgeous weather, multi-colored leaves, a clear sky for moon and stars, a placid lake up in the mountains, and — best of all — intense community, for five days of the Feast. 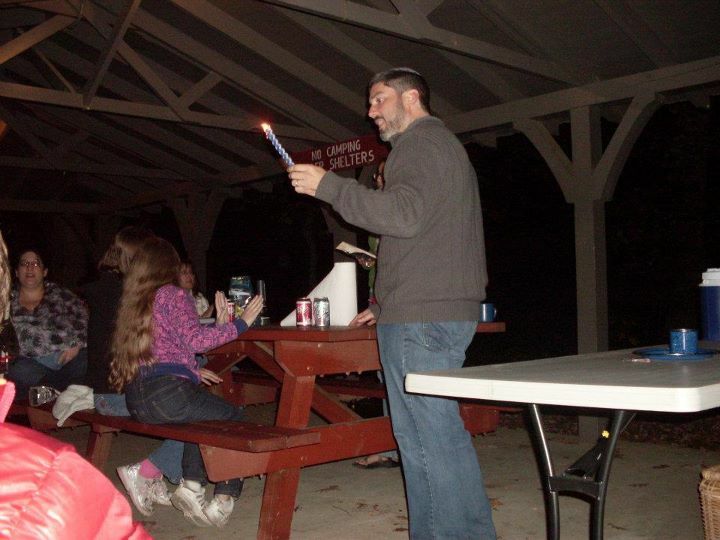 The pic shown is from one of our Havdalah celebrations in a picnic pavilion. We had about 20 families present, which made for a rousing good time. Blogging will soon re-commence at Musings! And an announcement: very soon the Musings blog will move to DerekLeman.com/Musings. Stay tuned for details.